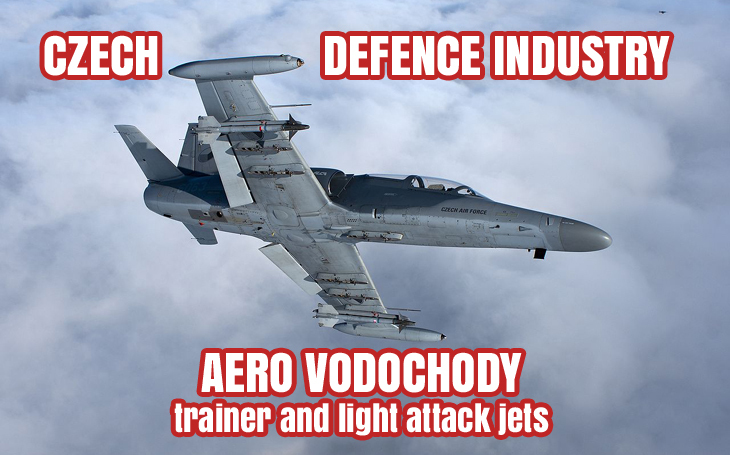 Aero Vodochody, producer of the world famous trainer jet aircraft L-39, is the largest aerospace company in the Czech Republic with 1900 employees. During its history the company has built about 11 thousand aircraft. Eight hundred are still flying, and new projects are running: the L-39NG or the F/A-259 Striker. According to janes.com, Aero Vodochody becomes partner of the European MALE (Medium-Altitude Long-Endurance) RPAS (Remotely Piloted Air Systems) project. The company has been founded on 25th February 1919 in Prague, and focused on production and repairs of aircraft and aircraft parts. Its first plane built was the Aero Ae 01, a military trainer biplane, a modified Hansa Brandenburg B.I. The period 1918–1938 was marked with Aero’s success in aircraft development. It built the first original Czechoslovak fighter plane (Ae 02), the first two-engine aircraft (A-24), the first floatplane (A-29). It also participated in production of the French MB-200 bombers under license. During the German occupation (1939­–1945) major parts of the Fw 189 and Si 204 aircraft were produced by Aero. After WW2 the company was nationalized, manufactured modified German aircraft for the Czechoslovak Airfoces, and it continued its own projects. It moved to Vodochody in 1953, and the company entered the jet age by licensed production of the MiG-15 fighter jets (3,405 were delivered between 1954 and 1962), followed by the MiG-19 and MiG-21 models in the 60s and 70s. This production has brought necessary experiences which payed off with the most well known Aero jet trainers: the L-29 Delfín (1959, 3,500 built until 1974) and L-39 Albatros (1968, 2,900 built until 1996, operated by 30 countries even today). After a relatively small series of the L-59 Super Albatros produced by the end of the 80s came the L-159 project, with the first flight in 1997, implementing advanced avionics and powerful American engine, and delivered to the Czech Air Force in 2004. The company also participated or participates in many joint programs with world manufacturers as a Tier 1 or Tier 2 supplier, including the production of the F/A-18 gun bay door, production of the S-76 helicopter, or the deliveries of JAS-39 Gripen pylons for Saab, and more. In 2014 the development of the L-39NG trainer and light attact jet was announced. The pre-serial plane made its first flight on 22nd December 2018. Besides military production the company also manufactures parts of civilian aircraft such as A400.